In advance of every Mobile World Congress these past few years, Samsung has taken the opportunity to showcase its flagship for the year. In a few weeks, the Galaxy S7 and S7 edge will be unmasked, or rather Unpacked, for the first time. It was never really in question whether or not these devices would be rolled out across China, particularly after a leaked roadmap back in December pointed to a March release. But now, both handsets have passed China's version of the FCC, offering near-confirmation that the Chinese market will see the S7 duo very shortly. Often, official certification documents can reveal key, previously unknown details about the smartphones in question. On this occasion, though, the 3C cert only references fast charging capabilities at 9V 1.67A and 5V 2A. Useful, but not altogether exciting at this stage, and so with three weeks to go until Unpacked, expect Sammy to take great pleasure in trickling any remaining details out as slowly a possible. 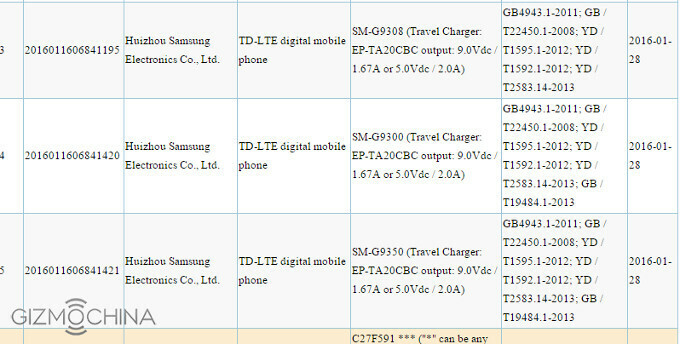 Thus far, three models of the Galaxy S7 family have been certified by 3C; the Galaxy S7 (SM-G9300) is presumably the unlocked version, while the S7 (SM-G9308) is likely to be the carrier variant. 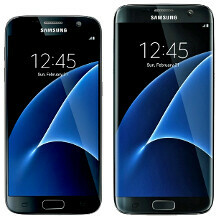 Meanwhile, the Galaxy S7 edge (SM-G9350) has also been given the green light. Samsung's Unpacked event, which is now confirmed, will take place on February 21st, heading off MWC. With plenty of time still to go until then, there's ample scope for a surprise or two along the way. But judging by what we've seen so far, Samsung will probably be delivering more of the same aesthetically, with most of the key enhancements to be found under the hood. We'll keep you in the loop should any other interesting details emerge, so stay tuned. Very iffy device this one. Lots of mismatching information about it all over the place and I'm not a fan of the look at least online. Will need to see it in person before I decide I guess. (YAWN)... Cortana, Wake me up when iPhone 7 is about to get launched, okay? samsung is on a tick-tock release cycle to avoid direct competition with apple when apple ticks, samsung tocks, now it looks like samsung is ticking with the S7. i suppose its a good strategy. More like Samsung does nothing until apple does something, than they copy it the next year. 3D touch. Lol, I'd rather have an IP-rating, a huge battery, sAMOLED and micro SD. You may keep your useless 3D touch. And like Apple has not ever copied Samsung. So when Apple copy Sony and Samsung with ip68 what will you say then?